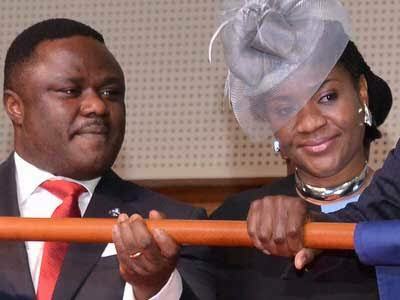 Governor Ben Ayade of Cross River State has said that his wife, Dr Linda Ayade, has severally cautioned him not to think of seeking reelection next year. Ayade said his wife has been worried over the type of unwholesome politics played in the state, fearing that it was going to endanger him or dent his hard earned reputation. He stated this on Friday when he formally commissioned the office building of the Cross River Women Emancipation Initiative (CROWEI), the umbrella body for all women associations in the state. CROWEI was established by his wife and the building facilitated by the state Ministry for Women Affairs. However, his wife said that after consulting with women across the state under CROWEI, they have resolved not only to emancipate the Cross River women economically but to increase their political awareness, noting that women in the state want the governor to return for a second term. So, will the governor listen to his wife or other women in the state? Smiles!